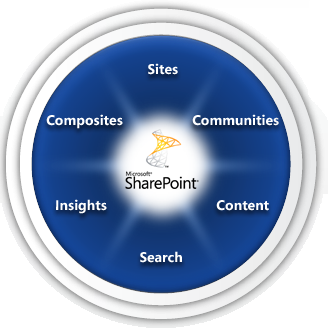 ​The capabilities of SharePoint 2010 work together to help your company quickly respond to changing business needs. Using SharePoint 2010, your people can share ideas and expertise, create custom solutions for specific needs, and find the right business information to make better decisions. For IT, SharePoint 2010 helps you cut training and maintenance costs, save time and effort, and focus on higher business priorities. ​SharePoint 2010 helps your people be more productive. It offers a familiar Microsoft Office experience so that people can quickly and easily access the business information they need to get their jobs done. ​SharePoint 2010 helps you reduce costs by consolidating intranet, extranet, and Internet sites on a single platform—on-premises or in the cloud. ​SharePoint 2010 gives you the best of both worlds: out-of-the-box applications and a platform for customized solutions. You can use the features of SharePoint 2010 just as they are or quickly create secure and easy-to-use solutions for specific business needs.